From real people like J. Edgar Hoover to fictional characters such as Clarice Starling, the Federal Bureau of Investigations has been the stuff of legends since the inception in 1908. Over the years, FBI agents have been glorified in news stories, television, books, and movies. It is little wonder, then, that the job of an FBI agent is among the most sought-after careers within criminology and criminal justice. What Do FBI Agents Do? FBI agents, called special agents, are highly trained investigative officers with jurisdiction to investigate violations of federal criminal law. They are responsible for a vast array of crimes, from computer hacking to terrorism. Mainly, any crime that crosses state lines falls within the jurisdiction of the FBI. Domestic security is the primary function of the FBI, and there are field offices spread throughout the United States. The FBI also assists in investigations abroad involving U.S. citizens, and so FBI Agents may be sent or assigned to work around the world in some circumstances. Also, FBI agents provide investigative support and assistance to state and local agencies when requested. 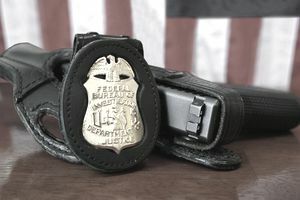 In order to be considered for employment as an FBI special agent, applicants must have a minimum of a four-year degree from an accredited college or university. They must also have at least three years of professional work experience after college Applicants must be willing and able to accept an assignment anywhere within the FBI's jurisdiction. For accounting, a degree in accounting and relevant work experience or a Certified Public Accountant certificate is necessary. For candidates with an advanced degree, such as a master's degree in criminology or criminal justice, two years of work experience will be required instead of three. Strong research and analytical skills are an absolute must. The FBI prioritizes its applicants by assessing their proficiency in critical skills and experience. These skills vary based on the agency's needs at the time but often include law enforcement experience, especially past work as a police officer, detective or prior military experience. They may also seek skills in areas such as physical science, intelligence, and engineering, to name just a few. In addition to the academic requirements, the FBI conducts a thorough background investigation into its applicants. There are also stringent physical requirements to become a special agent. Upon appointment, special agent trainees attend a 20-week training program at the FBI Academy at Quantico, Virginia. What Are My Chances of Getting a Job as an FBI Agent? The FBI often accepts applications during certain windows throughout the year. However, in the current age of international terrorism and with the continued threats to the United States, it can be expected that the agency will be in need of special agents for some time to come. FBI special agents are paid relatively well compared to other careers in criminal justice and criminology. Agent trainees earn around $43,000 during their time at the academy. Upon graduation, a new agent will earn between $61,000 and $69,000 annually, depending on what field office they are assigned to. Is a Career as an FBI Agent Right for You? Earning a career as an FBI special agent is a highly competitive process. The FBI prides itself on hiring only the best and the brightest. Those interested in working for the FBI should possess an exceptionally clean background. Agents work many long hours in a variety of conditions. Flexibility and patience are must-have qualities for any aspiring agent. At the same time, a career as an FBI agent offers a special pride in knowing you are part of an elite group and that you are working to keep your fellow citizens safe from harm. What's a Job With the NCIS Really Like? Want to Work for Air Force Special Investigations (AFOSI)?